Millenials are taking over every bit of the trend in today's time. Towards the techie side, lifestyle routines, and even trendy fits, this artsy generation is truly one to look up to. Agree? But it's also true that sometimes, millenials are somehow hard to please and can be quite a mess. Because of today's fast paced living - social media, technology, lifestyle change; most millenials tend to lose their track. 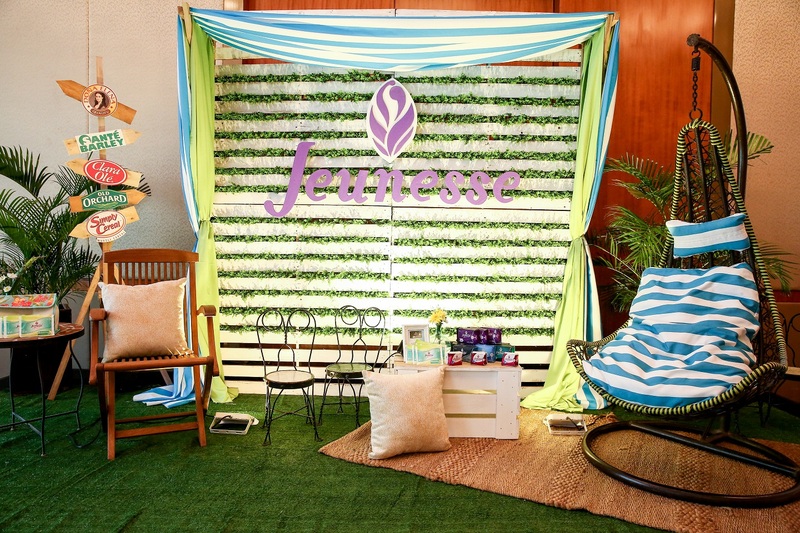 Good thing, Jeunnesse Anion came up with an idea of having a Millenial Fair wherein they just don't celebrate us, millenials, but also giving us the opportunity to grow and learn more about hollistic living, tips and advices on reproductive health care, stress, and more. Find what makes you happy. Those 5 words from Ms. Camille are stucked in my head up until now, just because it screams out what millenials like me needs to keep in mind nowadays. We tend to go beyond every little thing, we spend long hours on social media, we say yes even if we wanted to say no, we keep on cycling up with the trend; not knowing that it isn't where we should be. Stress. You will always here this word in every millenials' voice (and tweets), but many times, we do not know how will we be able to bust it out. Ms. Nicole shared about coping with it through Deep Breathing Technique, finding the right shampoo that contains proteins (yas!!! I didn't know about this either), and checking our vitamin levels once in a while. Reproductive Health Tips. Of course, we know about eating healthy, drinking enough water, maintaing our body mass index is crucial in making our mind and body happy. But I believe a lot of us don't know that we should also get a regular gynecological check up and self-breast examination too, that's Tip #9 and #10 from Dr. Suluen! And to get the fun going throughout the year, Jeunesse Anion is launching two of our country's inspiring & influential millenials, Christine and Clarice Patrimonio, daughter of PBA star player Alvin Patrimonio. Growing up in a sports and fitness-passionate family, the two girls is echoing in the field of tennis. Though Clarice didn't make it as she has a courtesy call from the President, Christine was there to answer some of our millenial questions! I'm so so so starstrucked at how perfectly curved her body and how beautiful she is on stage. Honestly, I'm one of those girls who experience the worst kind of dysmenorrhea every time I have my period. Sometimes, it came to a point where I needed to skip classes or even be absent the whole day; just because I cannot even sit or stand up. My mom personally didn't like the thought of taking up pills, medicines that's why I just use hot compress or therapeutic pillows to ease my pain. 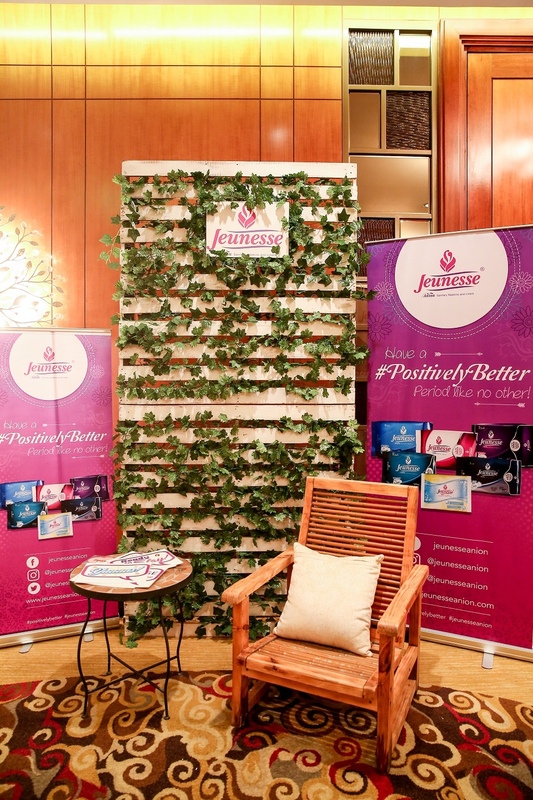 But after trying out Jeunesse Anion's sanitary napkin, (SERIOUSLY) I really did feel minimal pain up to none. I swear. And it's because of the anion napkin! Believe it or not, there are napkins that can add toxins to your body and build up unhealthy lifestyle. Anions are known to increase the general healthiness and well being of women, plus it also helps prevent discomfort during dysmenorrhea. That explains why I can actually attend my trainings even if I'm on my red day. I also love their packaging as it has that easy adhesive opening you can just peel off and close after getting a pad. Really really hygienic! Btw, I uploaded my vlog during the event: https://www.youtube.com/watch?v=2iHHJaLA2NE :) Hope you can watch it too! 2 comments on "Positively Better with Jeunesse Anion"
Really impressed by the Jeunnesse Anion napkins, just what the women of this day requires. Would recommend this to all the girls out there, never compromise with your hygiene.